BEFORE you create a new user, make sure that this user is NOT already on the site. You do NOT want to create a duplicate! 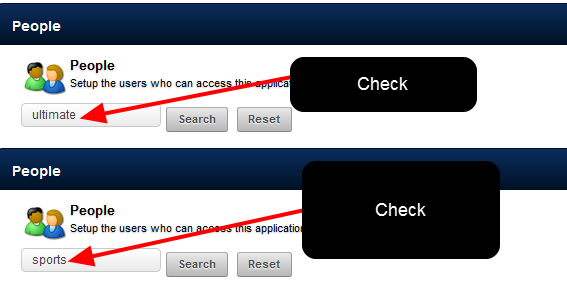 Before you create a new user, double check that the user is not on the system. Type in the first name of the athlete into the search box and click search for possible matches. 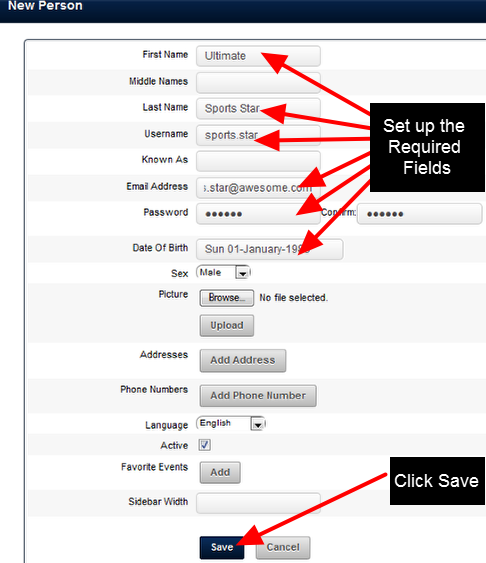 For this example we are adding in a user called Ultimate Sports Star. Check the name Ultimate, Sports, and Star separately. Also, if you adding in a Chris, check for christopher and other variations. Duplicate athletes on the system create inaccurate records, so please double check the user does not exist before creating them. 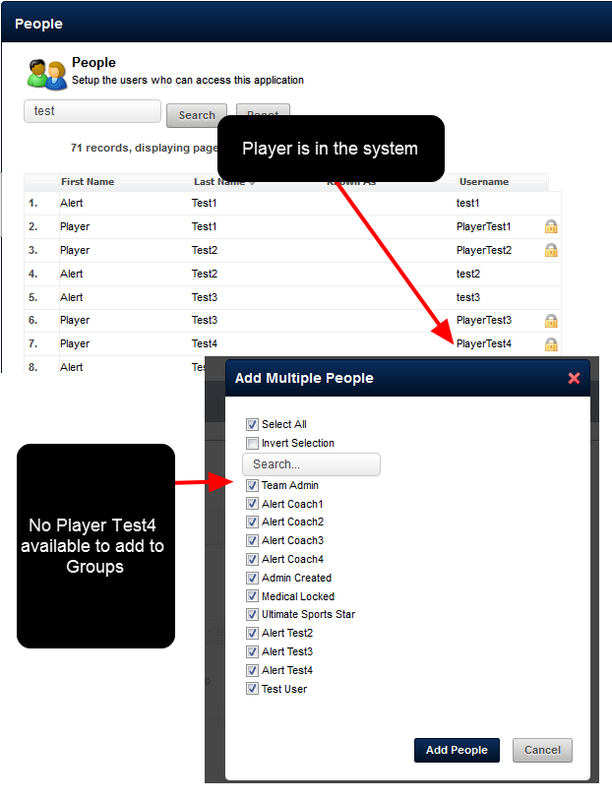 The example here shows that the user PlayerTest4 is on the system, but they are NOT in any groups that this Coach administers. Do NOT create a duplicate user. Simply e-mail your administrator and ask for this user to be added to one of the Groups you administer. -they have been added to a locked Role and you can only change their groups and roles access, not their account information. Once you check the user is NOT on the system, click on "Create new Person"
A new user can be created. 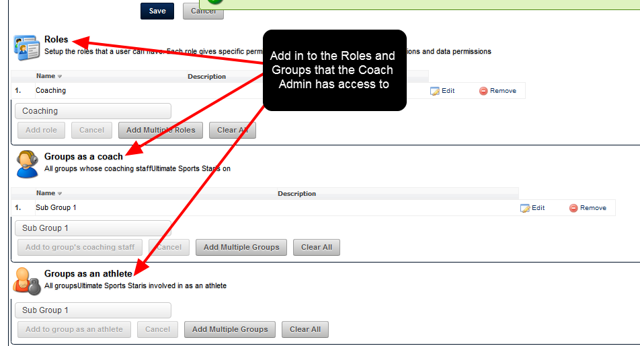 A Coach Admin can be given administrator rights to different groups and roles in the system. This means when they create a new user (as shown here), they can add that user into any applicable groups or roles. They can also add this user to any groups they administer via the Groups page as well. The new user can now login and enter data for themselves, or for players that they have been given access to. Prev: What is a Coach Administrator Licence and what can these users access on the Administration Site?